There are many religions in our world. Each religion follows different rules and traditions. One of the common things they all do is pray. Prayer helps to keep people connected with God. For some people, it is actually like a ray of hope. It makes them feel as if someone of supreme power is present to help them. Prayers can be of different types. You can pray in a church, temple or even at your own home. No matter where you pray, the ultimate aim of everyone is to talk to God about their sorrows and happiness. Do you know the importance of prayer? If not, this article will help you understand the significance of praying. Gives Confidence – Prayer helps a lot of people to stay confident. Through praying, they feel as if someone is out there to protect them from all the miseries and sorrow. This will give them a hope to live and move ahead in their lives with more confidence. Gives a Sense of Morality – Ethics is very important to be a responsible individual. It prevents people from doing immoral things. Prayer steers everyone in the right path. People who pray will have a better understanding of what is right and wrong. Brings Peace in Life – Prayer is one of the best methods to bring peace in a person’s life. Rather than quarrelling with others, people will realize the importance of harmony to have a healthy and fruitful life. In short, prayer helps to carve out a better character in a person. Helps in Healing – Different people have different types of problems and worries in their lives. Regardless if you are physically or mentally troubled, prayer helps to heal your body and mind. It encourages people to stay optimistic in life. Imparts Wisdom – People who pray tend to be more mature and wise compared to those who do not pray. They will also understand the true meaning of life. Helps to Forgive – People always find it hard to forgive those who have hurt them. It is not always possible to forget and move ahead in our lives. Prayer makes people more forgiving. It evokes a realization in people that there is no use in carrying forward the revenge and bitterness towards other people in your life. It helps people to come out of their sorrows and forgive those who were partly or wholly responsible for them. Becomes Responsible – Praying is one of the most important factors which makes a person responsible. We all get distracted at times. Praying helps everyone to stay on track and perform their tasks properly. Also, different religions have different types of holy books. All these books have stories with morals and advice which make people realize the importance of doing their jobs and other tasks at the right time. Hence, people will become more responsible and refrain from postponing their tasks. Boosts Energy – Knowing that there will be someone to help us in all points of time is definitely an energy booster. It helps people to lead their life happier and peacefully. Prayer, to be precise gives more energy to people. It will also help people to become successful in their life. Creates Empathy – It is important to understand the emotions and feeling of other people. If not, we may unknowingly create a bitterness or enmity with others. Praying makes people more patient. Hence, they will take proper time to understand what others are going through. Empathizing with people will help to create a better bond between them which indeed brings peace to our lives. Reduces Stress and Anxiety – One of the major factors which harms our health is stress. Prayer encourages people to eliminate this stress and concentrate on our deeds. It tries to make people understand that there is no point in being overly anxious over your past actions. Hence, prayer helps people to stay healthy. Reduce Disappointment – We all would have felt disappointed at some point in our life. Due to this disappointment, some people hesitate to try again or move ahead with their tasks. Praying helps most of the people to come out of this despair. It makes people realize the importance of hard work. Hence, people who pray will have more patience to try again and succeed in their life. 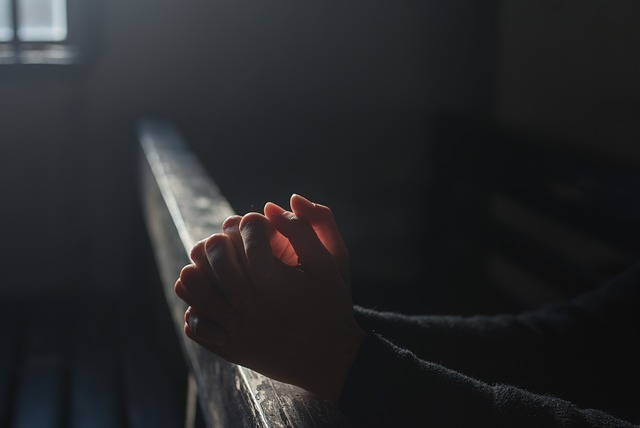 From a broader perspective, we can say that prayer not only helps to stay connected with God but it also promotes health and prosperity. Praying helps to heal people rapidly from all the mishaps that have happened in people’s lives.